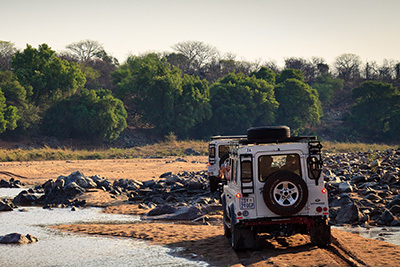 View our guided 4×4 trails in Southern Africa across different Transfrontier Parks, Reserves & sections of Greater Kruger National Park in Southern Africa. All Trails are seasonal running from 1 March to 31 October, every year. November to February is the rain season and inclement weather conditions can affect the topography of the area the trails run in. 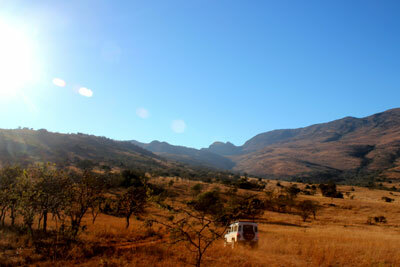 The exciting Berg to Bush trail takes you from Mafefe Camp in the magnificent Drakensberg Mountains across different nature reserves and terrains. Enjoy an incredible experience taking in the views of the Drakensberg Range, the wildlife of Letaba Ranch, and a rugged 4×4 journey complete with bush camping. Read more. Designed as a ‘week-end in the bush’ the Letaba 4×4 trail runs out of Phalaborwa, and through the Limpopo provincial reserve Letaba Ranch, a sector of the Great Limpopo Transfrontier Park. 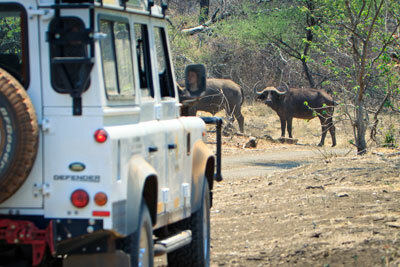 This is an ideal opportunity to combine off-road 4×4 travelling, outdoor camping and game viewing. Read more. The Luvuvhu Trail runs from Phalaborwa to Pafuri, through the Limpopo provincial reserves of Letaba Ranch and Makuya Reserve which form part of the area known as ‘Greater Kruger’. Enjoy four nights and five days of camping along river beds, 4×4 off-road adventures over a wide range of topographies, and experiencing a variety of wildlife. Read more. Since we’ve been running the Luvuvhu 4-night trail, we’ve consistently received requests that trailists are given a longer opportunity to rest and relax in the bush, and enjoy the environment, especially in Makuya Reserve. 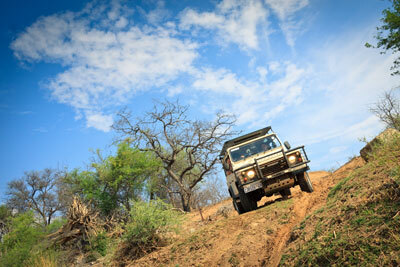 To cater for this interest, we are now offering a limited number of departures for the Luvuvhu 6 night trail. Read more.